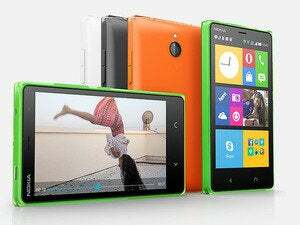 After it was first tipped in early March by Evleaks, Microsoft-owned Nokia announced the Lumia 530 on Wednesday. The budget-grade 3G smartphone is a follow-up to the Lumia 520 and 525 and the first Lumia launch since Microsoft finalized its Nokia acquisition in late April. 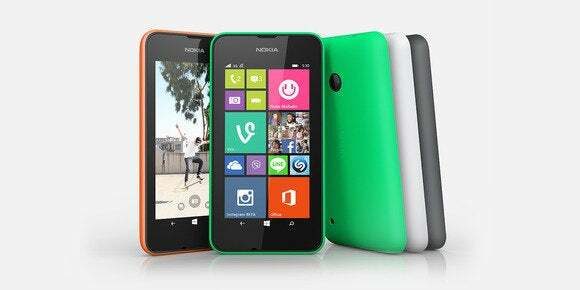 The Lumia 630 and 635 were announced just weeks before the deal officially closed during Build 2014. The 530 will start rolling out globally to select markets in August and will sell for less than €100 at its release (under $135). An official U.S. release date and pricing was not announced, but in June, Evleaks said the 530 would hit T-Mobile mid-summer and come to Cricket in the fall. 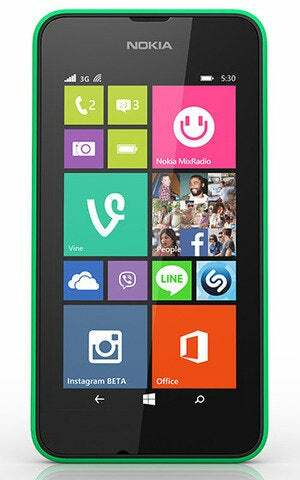 The Lumia 530 rocking Windows Phone 8.1. The 530 features a 4-inch display with 854-by-480 resolution at 246 pixels per inch, a slight upgrade from the 800-by-480 display on the 520/525. Under the hood the 530 comes with a 1.2GHz quad-core Qualcomm Snapdragon 200 processor and 4GB onboard storage. That's not much in terms of memory, but the handset also has a microSD slot that can hold another 128GB, and you'll get an extra 15GB free OneDrive storage as well. The biggest differentiator between the 520-era budget phones and the 530 is that the phone will come in single and dual SIM versions. Just like its predecessors, the 530 lacks a front-facing camera and has a 5 megapixel rear camera; however, the 530's camera has a longer minimum focus range of 60cm, compared to 10cm on the 520/525. The rest of the 530's feature set is about what you'd expect: Bluetooth 4.0, 802.11b/g/n Wi-Fi, and Windows Phone 8.1. There's also a 1430 mAh battery with a claim of 8.5 hours of Wi-Fi network browsing time (max). 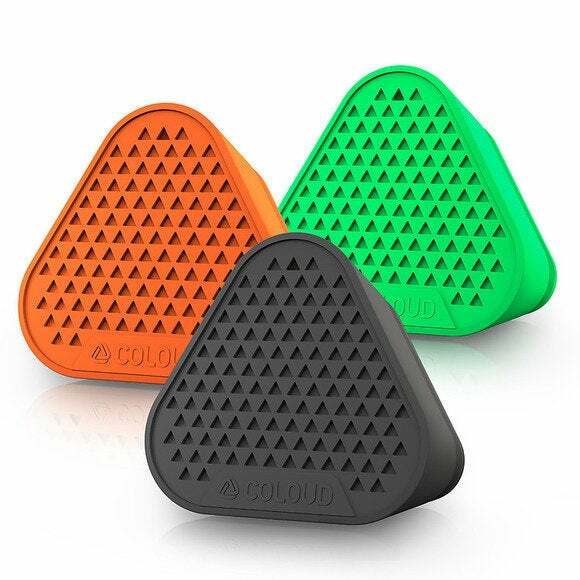 The Bang mini speaker by Coloud. Along with the 530, Nokia also announced a new smartphone accessory called the Bang mini speaker. Designed by Coloud, the Bang mini speaker is battery-powered, rechargeable, and claims a maximum 8 hours of playing time. You can also daisy chain multiple speakers for more sound. The Bang mini speaker will debut in the coming weeks with an asking price of €19 (about $25).